12 Free Valentine’s Day Cards for Kids! 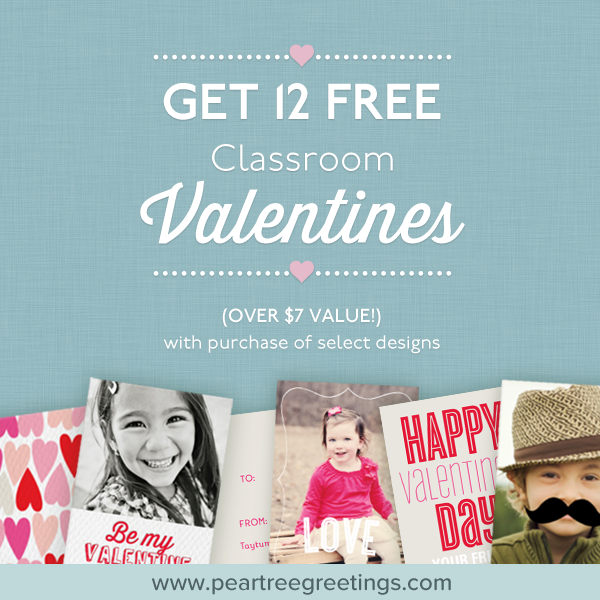 For a limited time only, get 12 FREE kids Valentine’s Day cards with purchase of 12! All you have to do is click here to sign up, enter your email address and you will receive a code to use to get 12 free kids Valentine’s Day cards.